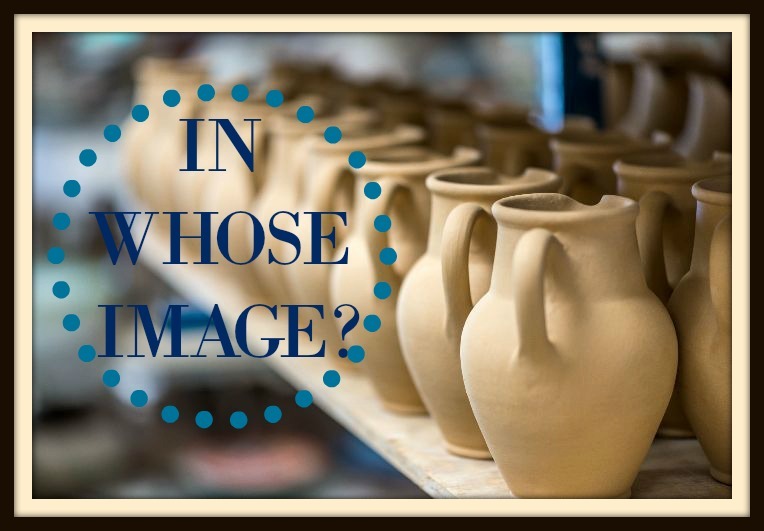 Home › Gender Issues › In Whose Image? One of the most common accusations levelled at women by those who advocate male leadership in church and home (and some would add society in general), is that Eve (Ishshah) disobeyed God and led Adam into sin. For this reason, they say, God ordained that ‘her husband would rule over her’ (Gen. 3:16). In fact, God was not condoning male rulership at all. That particular discussion is not, however, the subject of this post but you can check it out further here , here and here. 1 Timothy 2:14 tells us that Eve was deceived, but that Adam was not deceived. If Adam was not deceived by Satan, then he made a conscious choice to disobey and rebel against God. Yet this obvious Biblical truth is brushed aside by those who insist that God has entrusted males with authority over females. If we are to accept the argument that Eve’s failure in Genesis 3:6 is evidence that all females are prone to deception, reason dictates the same guiding principle should apply elsewhere in scripture. With that in mind let’s take a look at the hours surrounding Jesus’ last moments on earth. We find that at Jesus’ arrest at Gethsemane, eleven of His close friends just hours after pledging they would die with Him, scatter in all directions. Fearful of dying like common criminals beside Him, they betray their Lord by deserting Him at the moment of His greatest test (Jn. 16:32; Mark 14:50). One of Jesus’ closest disciples verbally denies knowing Jesus three times. Not long after, we find the nation’s highest spiritual authority, the Sanhedrin, actively seeking witnesses to give false testimony against Jesus, despite the fact that bearing false witness was against the Law they so piously upheld (Matt. 26:59-62). The Bible says many false witnesses came forward and finally two were chosen to duly deliver their false testimony. Apparently there was no shortage of men needing favour with the powerful Sanhedrin who didn’t mind breaking the law to lie about Jesus, thereby betraying their Messiah (women were not legally recognised as witnesses in Jesus’ time). Then there’s the High Priest, the scribes and religious authorities. Their great fear was that the people would rise up to enthrone Jesus, bringing the wrath of Rome down upon the nation, stripping them of their positions, power and influence. They had decided it was more convenient to betray one man, whoever He was, than face the growing threat of that potential scenario (Jn. 11:47-50). They were bent on removing the threat by having Jesus executed. One of the twelve, Judas, had also been considering his options. As the realisation set in that Jesus had no intention of leading a popular rebellion and may even be executed, Judas decided to swap sides. It was the actions of Judas, one of Jesus’ chosen inner circle, that opened the way for the religious authorities to swoop and carry out their plan. For thirty pieces of silver Judas betrayed His Friend, His Teacher and His Saviour. Finally, there’s Pontius Pilate. It’s clear he does not want to execute Jesus (Luke 23:20). He goes so far as to declare Jesus innocent (Luke 23:4, 14). He recognises that the Jewish authorities want Jesus executed out of jealousy (Matt. 27:18). He is even warned against treating Jesus unjustly by the one woman who would have had any influence over him, his wife (Matt 27:29). But when the Jewish leaders cannily imply Pilate may be accused of treason for freeing this so-called ‘king’, his own political future becomes his main concern, for none but the Emperor could claim the title of king (John 19:8-13). Knowing Jesus has committed no crime, he betrays the Lamb of God and orders His execution, then symbolically washes his hands of Jesus’ innocent Blood. Now I’m sure it hasn’t escaped your notice that in all of these dramatic developments, male after male betrayed Jesus. Where, apart from Pilate’s wife, are the women in the story? The women of Jerusalem are there weeping and mourning as Jesus carries His Cross to Golgotha (Luke 23:27). Women disciples are standing by His Cross, hour by hour, agonizingly witnessing His torturous death with the one lone male disciple who dared to show up (Mark 15:40; John 19:26). They are watching on as wealthy men remove His body and place it in a garden tomb (Matt. 27:57-61). They are quietly making their way to that same tomb at dawn to anoint His broken body for burial (Luke 24:1). One of them, Mary, is the first to speak with the risen Christ, and the first sent by Him to proclaim the gospel (John 20:14-17). But not one woman is recorded as betraying the Lord. Referring back now to our guiding principle, it would appear the scriptural evidence indicates males in general may be prone to disloyalty and betrayal. Should they therefore be trusted with the weighty responsibilities of shepherding the Body of Christ? But my intention here is not to play a blame game. My intention is to advocate for balance and call out injustice. Who among us would dare venture an opinion on which is worse, being deceived or betraying Christ? And who among us would pass sentence on an entire gender because of one individual’s sin? Yet, this is exactly what has been done, and continues to be done, to countless female members of Christ’s Body on earth. After His resurrection, Christ held no grievance with those of His followers who had betrayed or abandoned Him. The very ones who had failed Him were the ones to whom He entrusted the growth of His Kingdom. What happened in that first Garden is completely cancelled by Christ the Last Adam, the Firstborn from the dead, who triumphantly leads a new creation of individuals bearing no trace of the old order. To not understand this is to not have understood the gospel. The Cross cancels every debt. The Resurrection promises new hope, new life and new creation. The Gospel declares a new day of reconciliation between God and humanity, and between male and female. The Spirit bears witness that “behold: all things are new”. Let no-one hold you back from what God has called you to pursue, for you are neither Eve nor Adam (1 Cor. 15:45-49; Rom. 8:29). You are a new creation, bearing the image not of Adam, not of Eve, but of the heavenly Man Christ Jesus. This article has also been posted at Ishshah’s Story blogsite. ‹ From The Archives: No You Can’t, Uh Uh, No Way! I will read the article you suggested. I am enjoying your articles very much. Thank you for all the time and effort and bible study that you have put into this site. What a wonderful article. What a blessing to read this. I wrote a poem in 2016 called, Mary Stayed Weeping, which speaks of the Lord’s high estimation of women. Yet sadly, in churches I have found much male dominating attitudes prevailing. Hi Helen, Thankyou for your comment. You are welcome to post a link to your poem if you wish. If you resonate with this article, written in 2015, you may also like to read the latest entry on Bread for the Bride, Why Trouble the Woman. Blessings to you! That means a lot Erroll, thankyou. I LOVE the way you hold onto tension in this, not playing the “blame game” or polarizing the issue by going to the other extreme, but rather calling us all to “get over ourselves” and look to God’s grace. May His new creation dawn in all our hearts, lives, relationships, and communities. I like the way you put it, Tiffany….’get over ourselves.” I see too much polarizing over these church gender issues, and I have no desire to contribute to that kind of stalemate. At the same time we need to go deeper in our understanding of the gospel, to humbly realise that in Christ there is no male or female, and allow each other to be the royal priesthood we are ALL called to be, not just some of us. Thankyou for your feedback…always appreciated!